Are you interested in starting a car dealership in “The Constitution State?” According to Connecticut State Law, auto dealers must get a Connecticut Dealer License from the Connecticut Department of Motor Vehicles. To get a Connecticut Dealer License, you'll need to be approved by the State, complete and submit a dealer license application, purchase a $50,000 surety bond, and submit all paperwork and requirements to the State. Before starting a Connecticut Dealer License Application, you must have your dealership location approved by the Zoning Board Chairman or Authorized Official of the town where you will host your business. An Authorized Official is defined as the Zoning Board of Appeals (ZBA). If there is no ZBA in your area, you may get your location inspected by a town manager, mayor of the city, or warden of the bourough. For help on how to complete the CT Dealer License Application, read the Instruction PDF. Information on how to complete the below requirements be found on the Instruction PDF. Worried about a previous felony on your record? Check out this post: "Can I Get a Dealer License with a Felony?" Not sure how to get a CT Motor Vehicle Dealer Bond? Use this interactive tool to help you out. You won't have to pay the full bond amount to get bonded. You will only pay a small one-payment (not monthly). A CT Motor Vehicle Dealer Bond is a type of surety bond promises you will follow the rules and regulations while conducting your business. 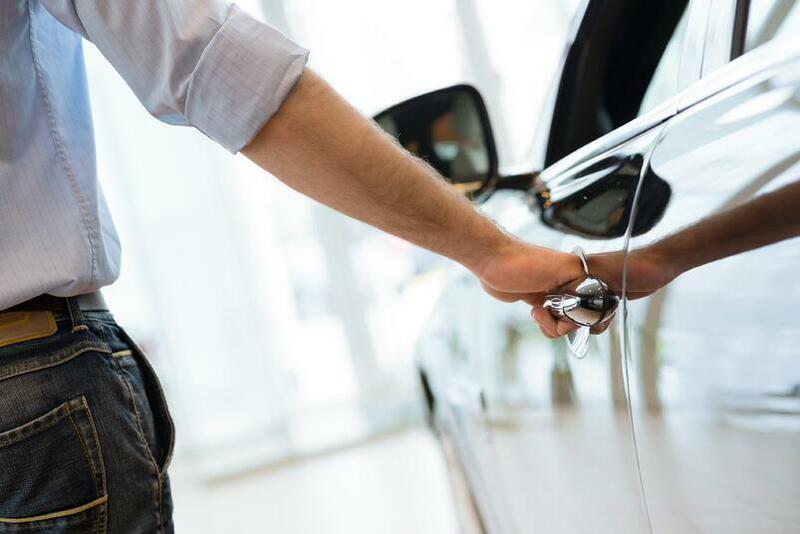 A CT Motor Vehicle Dealer Bond protects your customers, not you. If you fail to follow the rules of your industry, someone can make a claim on your bond. You can purchase a CT Motor Vehicle Dealer Bond from a surety bond company. Applicants are encouraged to email their completed documents to dmv.dr@ct.gov. Assuming your paperwork is all complete, the DMV will send a state inspector to your dealership location. In addition to compliance with the previously listed state requirements, the inspector will also need to see correct use of Repair-orders, sales invoices, sales orders, and waivers of estimates among other things. After your inspection, you will need to wait for a decision from the DMV. Please contact DMV’s Business Licensing Unit at (860) 263-5056. New or used CT Dealer Licenses last for a period of 2 years. You must renew your CT Car Dealer License before the expiration date on the second year to continue dealing vehicles. You have up to 45 days after the license expiration date to renew online.